Lez Geek Out! is a geek culture podcast that celebrates popular culture with an eye for the woman-loving-woman audience. It focuses mainly on work with lesbian/bi/women-loving-women themes/characters, but sometimes strays into territory where the subtext is strong, and the female characters are stronger. The Lesbian Talk Show handles books really well, but this is a place where alternate forms of media are explored, be they movies, TV shows, graphic novels, web-comics, or anything else that fits the bill. Lez Geek Out! is all about exploring the nexus of popular culture and the Lesbian community in the geekiest way possible. Twice a month, Lise MacTague and Andi Marquette get together to fangirl over their latest geeky obsessions. They discuss the show/movie/comics premise, characters, and what they loved about it. They also go into what didn’t work so well, how lesbians are depicted, and areas of feminist interest. They also talk character crushes and who they’re currently shipping. On occasion, Andi and Lise bring on geek culture creators to interview and hang out with, and hopefully not fangirl over too obnoxiously. Suggestions are always welcome, so please let Lise or Andi know of non-book media of interest. Anyone who gets excited over depictions of lesbians and women who love women in popular culture. If you’re more a pop culture person than a reader, but still want to see the women represent, this show is for you! 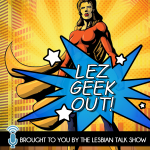 Lise MacTague and Andi Marquette share the show-hosting duties at Lez Geek Out! Both are authors of lesfic. Lise writes mainly speculative fiction, but in all sorts of different flavors. Andi writes across the board, with mystery, romance, and sci-fi in her extensive book list. Lez Geek Out! is out every other Wednesday. 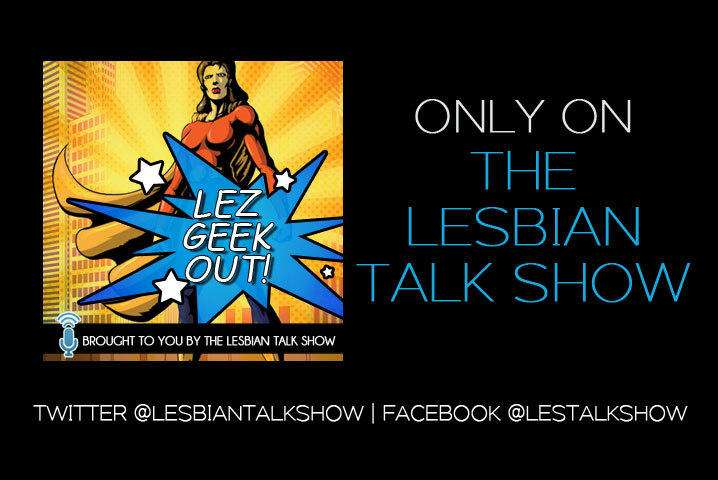 You can find all the shows on The Lesbian Talk Show podcast channel. MacTague and Marquette make a fun team their enthusiasm, wit and ability to talk about pop culture make this show a must-listen for anyone looking to immerse themselves in this world of movies, comics and more. This is a good episode to listen to in order to get an idea of what the show is about.